Do you know those tests that monkeys take in the training process, where they have to place certain objects in the right shape, judging by their form? Well, that’s pretty much how Hyper Square works. At first sight. Then, it starts to get difficult. Or, better said, real fast. So fast that you might just get a hang of what that monkey must be feeling like when it just can’t seem to get the challenge completed. Although to you, it looks like a piece of cake. And that’s exactly how playing Hype Square feels like. It’s an easy, basic, logic game, where your job is to drag, rotate, expand squares to fill up the blank shapes. It’s really easy at first. I, for one, was actually wondering if the whole game was going to be like that, when I started playing. Because, frankly, it was so easy that I couldn’t really find an incentive to play it for more than a couple of minutes. But the longer you last, the faster it gets. 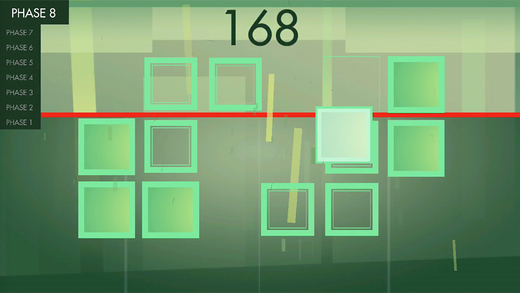 And, as you go from one level to another, the controls get more complex as well. In the beginning, your only job is to drag the square to the empty shape. But as you clear levels, depending on the situation, you’ll sometimes have to pinch to expand the square, twist to rotate, or even combine more controls to get the job done. And the clock just keeps ticking faster, and faster with every puzzle you complete. What I really liked about Hyper Square is that it uses simple things to deliver a great user experience. The controls are really intuitive, and perfectly shaped for a touch-screen game. 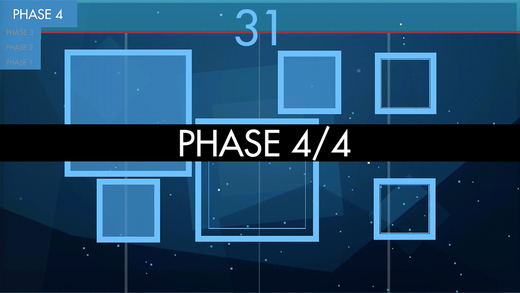 Each level has a catchy name that somehow wraps this basic, puzzle game into a story. And, even if you fail to solve all the puzzles to clear the level, when it’s game over for you, there’s a statistic indicating how well you did, compared to other players. And I found that to be a really nice touch. I find it to be quite a good incentive to go on playing, knowing that, for example, even if you only scored 10 points, you still did better than 6% of other players. I’m not particularly happy about the way the game gets more difficult by setting an insanely fast pace at some point. It’s pretty impossible for a normal person to be that fast. And I think that when you’re The Flash, you probably have better things to do than to solve fast-pacing puzzle games. But other than that, thumbs up. Sometimes, creating something simple requires the most amount of work. 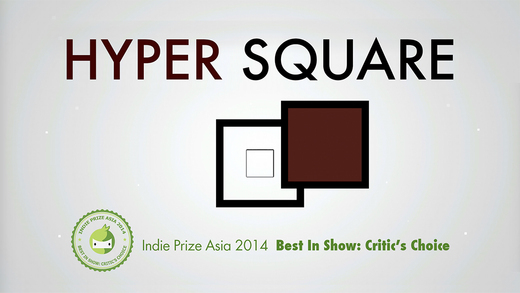 And Hyper Square is really simple, indeed. But also quite effective. And App of the Week in the App Store, so totally free of charge these days. 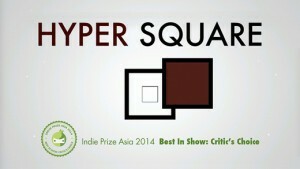 What do you think of Hyper Square? Scroll down for our comment section and let us know!